“Titan 2 is a product that emulates over 200 different synths, it’s like the all in one synthesizer pretty much. It covers analog and digital hardware synths, and now even covers popular software synthesizers. 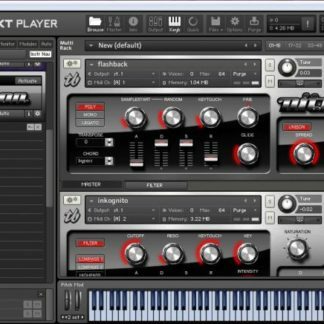 The goal is to provide you all of the various popular types of synth sounds you could one, in one interface. What I love most is the variety covered, you get ambient leads and pads, deep bass, digital bells, even orchestral string instruments. Any type of synth and synthesis you can think of is covered. 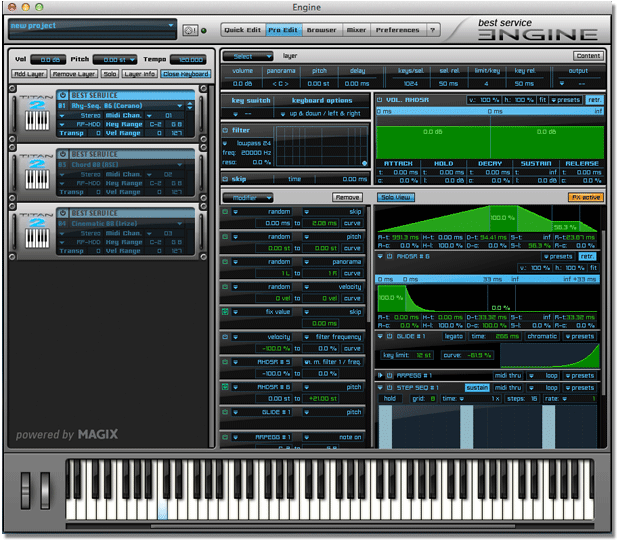 You can browse by sound type, or, if you know exactly what you want you can browse by emulated sound source. TITAN 2 outshines its predecessor by doubling its sound-library, adding countless new presets, a fully redesigned user-interface for Engine 2 as well as sound shaping potential exceeding even the originals! The content covers the full spectrum of this instrument’s glorious history. 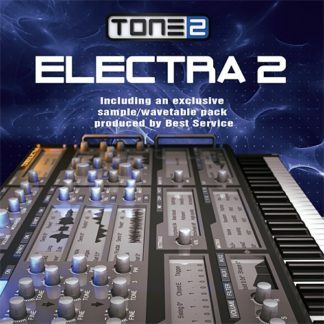 Here, you will find everything of distinction, ranging from the 70’s until today, covering every kind of sound synthesis. 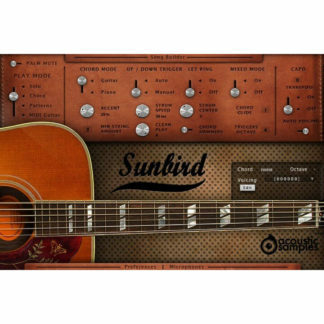 This plug-in includes the latest virtual instruments, analogue classics, legendary modular systems, prominent digital synthesizers, powerful workstation as well as unheard rarities. 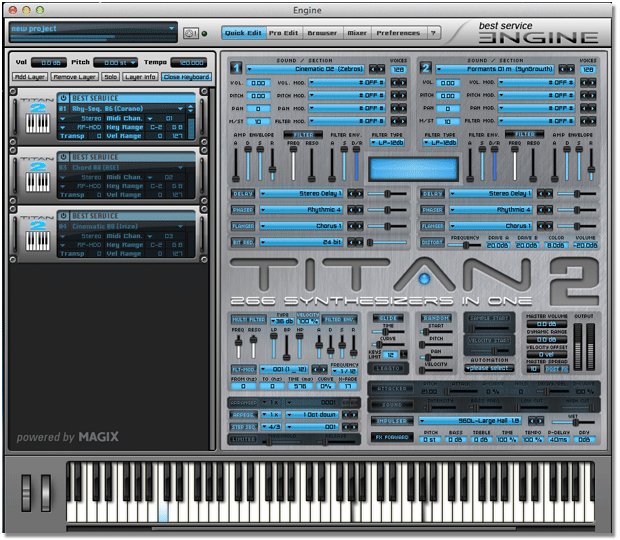 TITAN 2’s user-interface has been completely redesigned. It now allows immediate access to almost every parameter. Even when producing under pressure of time, you will be able to use TITAN 2’s full functional range without getting lost in countless menus or subpages. 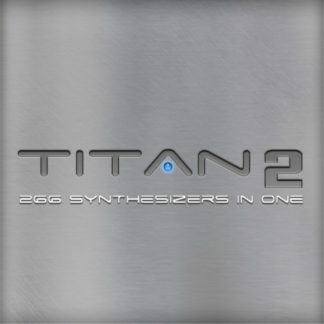 TITAN 2 contains the full content of TITAN 1. 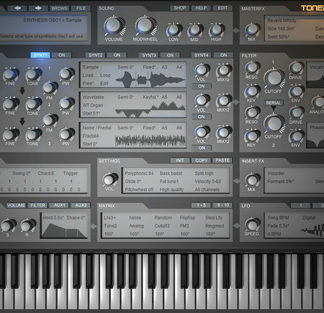 The former was focused on classic hardware-synthesizers while the new version completes this large sonic choice with sounds targeting current dance- and pop-genres/productions as well as film and video-scoring. 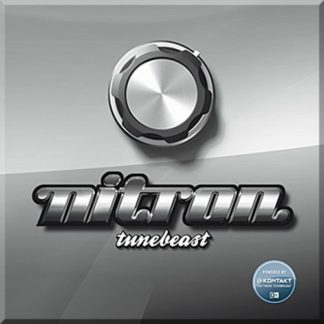 Included among others are the fattest super-saw leads available, Dubstep-sounds for EDM-genres, cinematic-, orchestral- and natural-sounds as well as various electronic classics. Also, the original 5,500 sounds of TITAN 1 can now be tweaked, modulated and mixed more detailed and effectively using TITAN 2’s revamped user-interface. A new feature in TITAN 2’s preset browser is the possibility to search for sound sources – in addition to the existing search for sound categories. 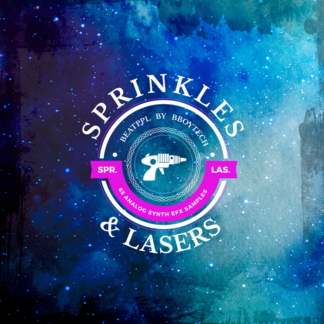 This way, you will find sounds of your favorite instruments in the blink of an eye! TITAN 2’s user-interface consists of two discrete synthesizers with individual and independent filters, envelopes, modulation options and effects. This way, sounds of different synthesizers can be coupled and mixed to create completely new sounds. The integrated convolution reverb offers more than 1,000 high quality impulse responses, including parts of the renowned library “Halls of Fame”! 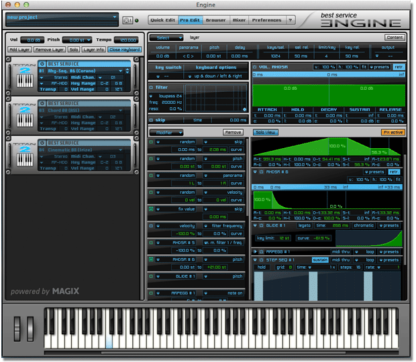 The complete sound-library consists of over 11,000 synthesizer-multisamples and approximately 200,000 single samples. 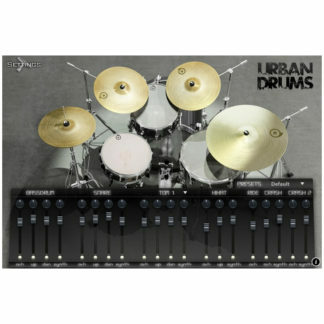 In addition, 1,800 up-to-date drum- and effect-sounds are being offered, not sourced from the library’s synthesizers but created independently. To achieve best possible results, the multisampled instruments often contain fully recorded filter sweeps, multiple dynamic layers as well as up to 61 key zones. Almost every single sample has been inaudibly looped with greatest care. The library’s sample-content comprises a massive 80GB. Thanks to inaudible data-compression, this amount has been reduced to a friendly amount of approximately 25GB on your hard-drive. At the same time, loading times for presets are significantly sped up and will, at the most, take one second – independently from the size.